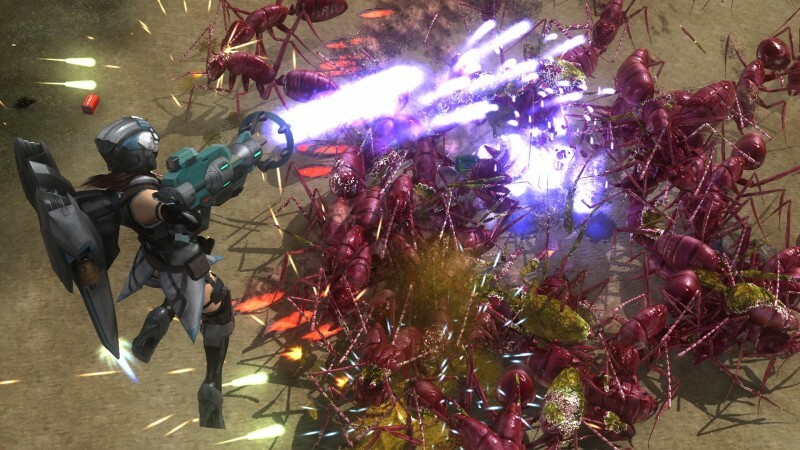 It may not be complex, but the core of Earth Defense Force 5 is accessible and entertaining. You are a soldier who (along with the optional assistance of co-op buddies) fights off an invading horde of giant bugs, frogs, UFOs, and more. You customize your loadout with weapons that range from awesome to awful. When your enemies are destroyed, they may drop new weapons for you to equip on future missions. Plowing through swarms of baddies while hoping for good loot is a pillar of countless games, and it retains its primal appeal here. 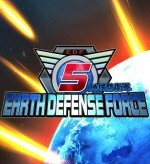 However, Earth Defense Force 5 doesn’t build on that foundation, even when compared to previous games in this series. 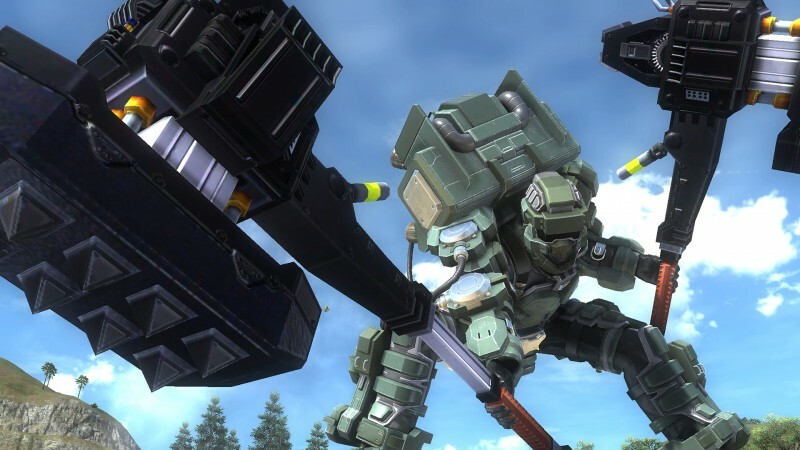 With cheesy dialogue and simple point-and-shoot gunplay, Earth Defense Force 5’s presentation and mechanics take a back seat to pure arcade action. Jumping into the fray is easy, whether you’re firing off hilariously short-ranged explosives or unleashing a barrage of powerful homing missiles. Your otherworldly foes explode in satisfying spurts of fire and goo, often flailing wildly from the generous application of exaggerated physics. The resulting B-movie vibe serves this experience well, doling out laughs while removing barriers between you and the main attraction: shooting at a screen full of enormous creatures with weapons of escalating destructive force. The mayhem is charming, but Earth Defense Force 5 hits the same basic notes as its predecessors, parading out familiar enemies (or their analogues) in a routine that doesn’t introduce many unique twists. The previous installment changed the dynamic by offering four classes with different specialties, and those same four options reappear this time around. You can technically use classes to strategize with your teammates online or in split-screen, like having the support-focused Air Raider help guide the Fencer’s heavy firepower. However, the action rarely demands (or even encourages) that level of coordination. The balanced offense of the Ranger and airborne mobility of the Wing Diver classes remain the most satisfying and versatile options, especially for solo play. Most of my favorite improvements to the formula are quality-of-life changes, like earning health and weapons for all classes, not just the one you are currently playing. This means that you aren’t starting from scratch four times if you want to get a taste of what each playstyle offers. I also appreciate that picking up duplicates can increase the weapon’s stats instead of just feeling like wasted effort. 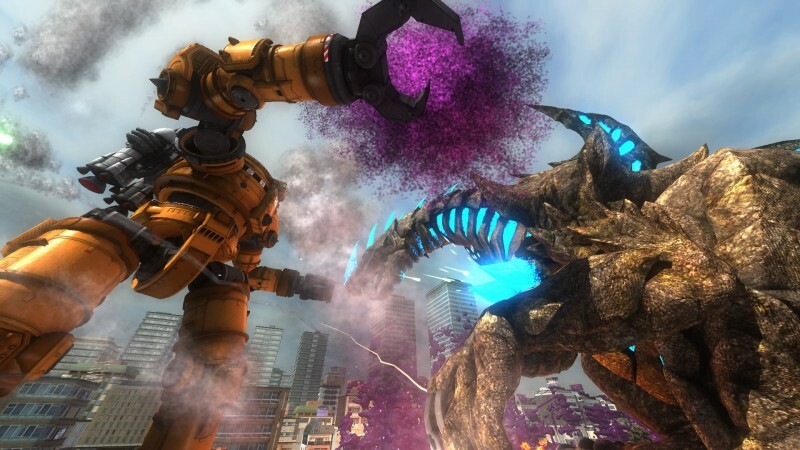 Though the experience is more user-friendly, these changes aren’t enough for Earth Defense Force 5 to gain any ground. It doesn’t feel substantially different from when I first played Earth Defense Force 2017 over a decade ago. I’m shooting ants with rockets and machine guns of wildly inconsistent utility. I’m cackling as buildings collapse. I’m crossing my fingers for a better version of my favorite gun. It’s fun, but it’s practically identical to the fun offered by its predecessors. 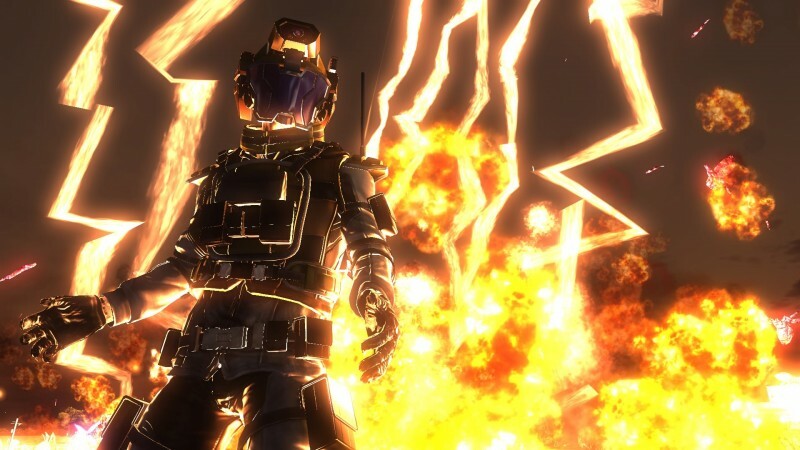 If this is your first time playing an EDF title, this fatigue may not be an issue; the idea at the heart of the game is still a blast. 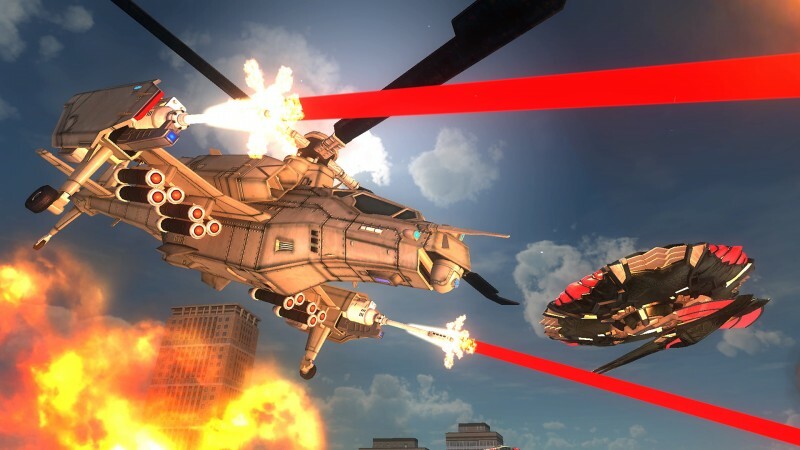 At the same time, Earth Defense Force 5 barely feels like a step up from a game that was considered clunky and unpolished in 2007. As video games evolve, developers continually set new standards by creating experiences with sophisticated storytelling, heightened immersion, and jaw-dropping technology. 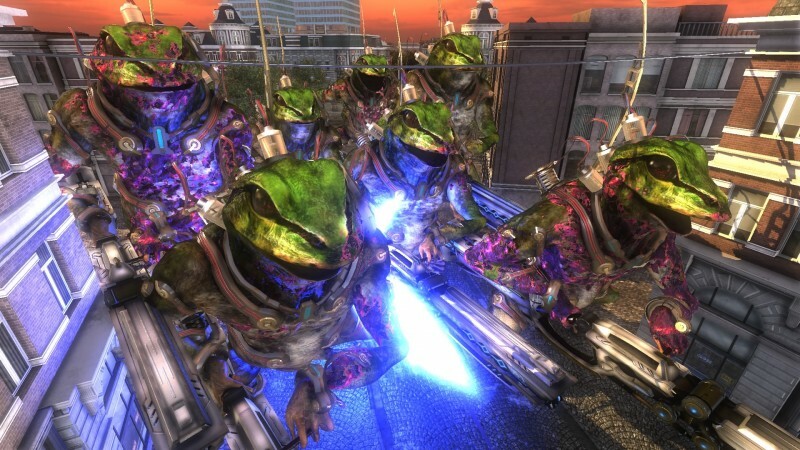 Earth Defense Force 5 has none of those things – but that’s okay. This series has always had a single-minded commitment to one simple truth: It’s fun to use weird weapons to blast lots of aliens. 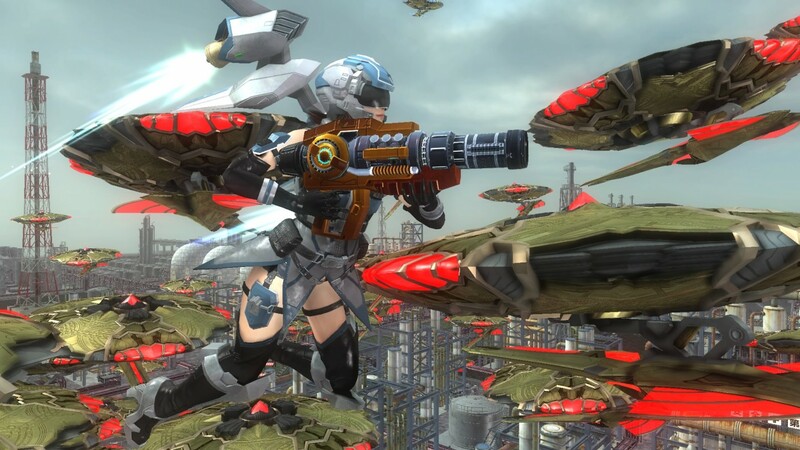 That fact may never change, but in an industry that has been steadily raising the bar, Earth Defense Force 5 allows the series to fall further behind. 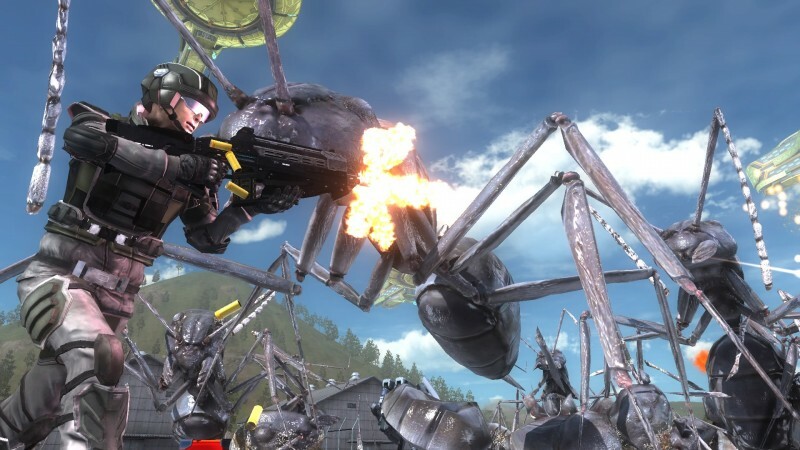 Fighting off swarms of aliens is still simple fun, but Earth Defense Force 5 remains clunky and outdated.